Please check out my extra education in Diverse fields. 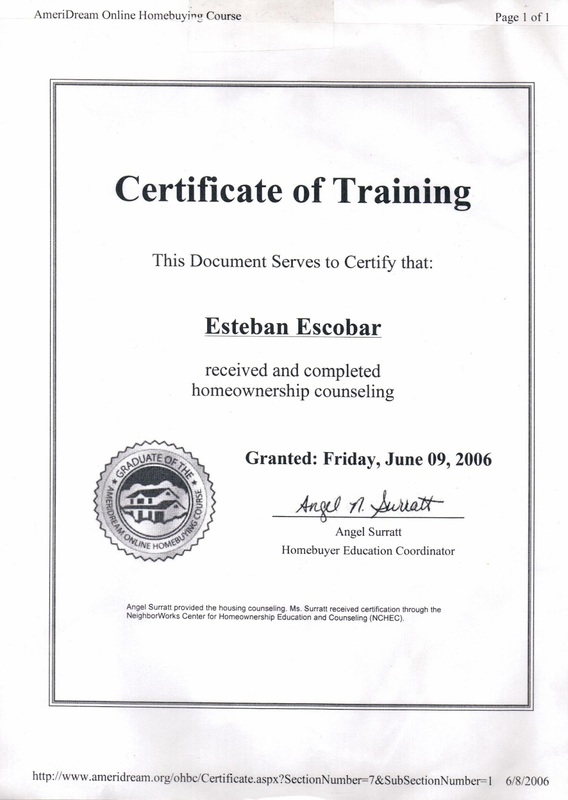 I am proud and honored to share with all you my Certificate of Homeownership Counseling Training to Esteban Escobar aka Steven Escobar. Thank you.